Long commute? You may have to re-appraise this when compared to the monumental effort of Caithness sextet Neon Waltz to reach their audience. 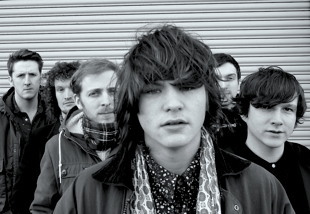 Their debut album Strange Hymns was full of the sort of epic sounding guitar avalanches which are fast becoming an endangered species, but despite the massive physical distance from the industry’s centre they’ve continued to stalk the country’s motorway network to positive effect, earning them support slots for Noel Gallagher and the DMA’s. Now they return with a new track Friends Who Lost Control and a first ever headline tour, one which should see them earn yet more Shell rewards points.